I released v1.9.1 of Contextual Related Posts yesterday. This version adds a new meta box in your Add/Edit Post screen. You’ll also find this in the similar screens for Pages and other Custom Post Types. 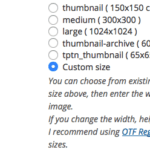 The meta-box currently provides you with a single field that allows you to specify the URL of the thumbnail that you wish to use in case a Featured Thumbnail isn’t set for the post. In a future version of the plugin, this will be given priority over the Featured Thumbnail. 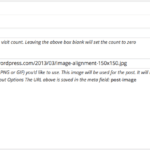 The meta box will use the same meta field as specified in the General Settings. If you’re using the default field name i.e. 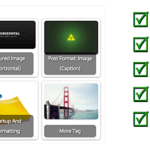 post-image and you’re using my other plugins Top 10 and Where did they go from here, then they will automatically recognise this thumbnail! I’ve also renamed the widget under Appearances to Related Posts [[CRP]], so you can find it quickly. If you’re using timthumb, then you’ll might be happy to know that I’ve added w.org and github.com to list of allowed sites. w.org is nothing but WordPress.org and github.com needs no introduction. 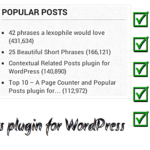 As usual, existing users can upgrade the plugin from within their WordPress Admin interface. If you’ve not tried Contextual Related Posts yet, then you’re missing out on a major way to boost your site’s viewer retention. Contextual Related Posts doesn’t use any third party services to fetch related posts. 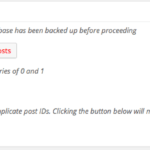 It uses your own posts and everything is saved in your database. If you’ve got any queries, please check out the FAQ or post in the dedicated support forums. Alternatively, you can always avail of a paid support via email.